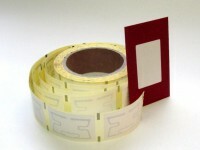 In 2006 COMEX launched the production of RFID labels and tickets. Up to this date, we still are the only company in Poland fully capable to integrate RFID antennas, chips and polygraphic materials onto the RFID products. 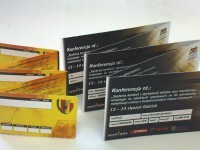 We offer customized label and ticket solutions based on paper or synthetic materials. 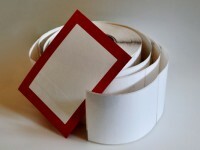 Outer layers if needed can be protected by UV lacquer or lamination. We are ready to start unique productions according to customer requirements. 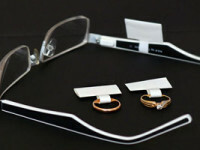 Universal RFID Asset Label fits in smaller places or on assets. Label utilizes Frida, original Comex inlay, designed to obtain good read ranges on a different materials. 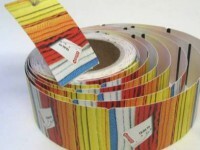 Labels can be customered by programming and printing text, bar code on printer. These are the most ordered labels. 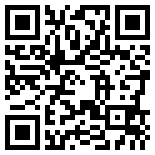 Used by automatic identifications systems in the supply chain management. The main material is white paper, but it can be also pp foil, in addition to that we can print in color. 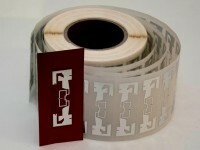 We produce our labels in two versions with aluminum or nano silver antennas. In the logistical label, there is an NXP G2IL chip which has a 128b EPC memory. If needed, we can also use other chips e.g. Monza R6. Per request, we make labels with adhesive for low temperature applications. This label is the best where high sensitivity is needed e.g. 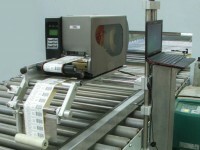 in systems which manage documents or for labeling pallets in conditions you need long range detection. 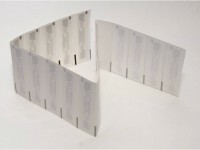 Due to the rising popularity of hang tags with RFID chips, we are offering clothing labels and inserts as well as pallets hangers. These days’ sports events cannot be run without any sort of participants identification. We are manufacturing tags with antennas adapted for this purpose. Designed by Comex the FRIGG antenna is the best choice for demanding applications. It is also replacing a popular tag Dogbone. 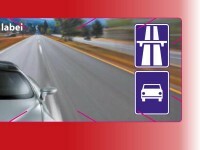 Specially designed windshield tag used as a highway ticket or in parking systems. The Ran trace seal is dedicated for securing jewelry. It was designed so with small dimensions it has very long range. It is made with an NXP G2IL+ chip with a special security loop.